The O’Connell monument is located at the south end of O’Connell Street in Dublin. The monument was built to commemorate ‘the liberator’ Daniel O’Connell and was unveiled in 1882. It consists three sections. At the top is a statue of O’Connell. The middle section of the monument is a frieze consisting of an array of figures including the ‘Maid of Erin’ holding a copy of the Act of Catholic Emancipation. 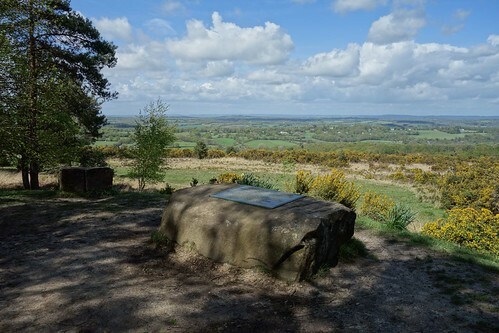 The base section is of limestone with four figures representing Patriotism, Fidelity, Courage and Eloquence. Daniel O’Connell was a native of Co Kerry. He qualified as a barrister and became involved in politics. He believed in the use of peaceful tactics to achieve change and led the successful campaign for Catholic Emancipation. He was elected as MP for Clare in 1828 but was not allowed to take his seat until the passing of the Catholic Relief Act of 1829. Following his re-election in 1829 O’Connell became one of the first Catholics in modern history to sit in the British House of Commons. He went on to lead the campaign to repeal the Act of Union. During the 1840’s he held ‘monster meetings’ around Ireland as part of the campaign. Due to age and ill-health he left Ireland for Rome in 1847. He died in Genoa and his body was returned to Ireland and buried in Glasnevin cemetery. The O’Connell Monument in Dublin was unveiled in the year 1882 On This Day. James Joyce was an Irish modernist novelist who is considered to be one of the most influential writers of the 20th century. He is noted for his experimental use of language and ground breaking writing style. Ulysses, a modern version of Homer’s Odyssey, is his most famous novel. Following the death of his mother Joyce stayed in Dublin. He had his first date with his wife-to-be Nora Barnacle on June 16th 1904. 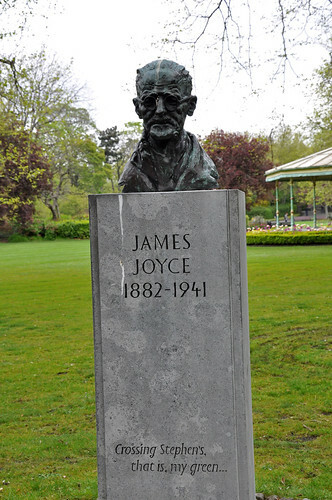 The date is now celebrated as Bloomsday which derives its name from Leopold Bloom the principle character in Ulysses. Shortly after they met they left Ireland and moved to Zurich, Switzerland where Joyce had been promised a post as a teacher of English. At the time Nora Barnacle was 20 years old and Joyce was 22. The teaching post Joyce had been promised in Zurich did not materialise and he and Nora eventually moved the city of Trieste where he secured a teaching post. During their time in Trieste their children Giorgio and Lucia were born. Georgio in 1905 and Lucia in 1907. Whilst teaching Joyce was also writing. His first book ‘Dubliners’, a collection of short stories, was published in 1914. This was followed by ‘Portrait of the Artist as a Young Man’ in 1916. Joyce visited Ireland on several occasions during the following years making his last visit in 1912. Joyce and his family moved to Zurich shortly after the outbreak of World War 1. He had already begun working on Ulysses and it was eventually published in Paris in 1922. Almost ten years after the publication of Ulysses James Joyce and Nora Barnacle were married at the Kensington registry in London on July 4th 1931. They had been living together for almost 27 years. They married, as Joyce put it, for ‘testamentary reasons’. Joyce was by now internationally known. Though it was attempted to keep the event as secret as possible, the wedding attracted considerable attention. 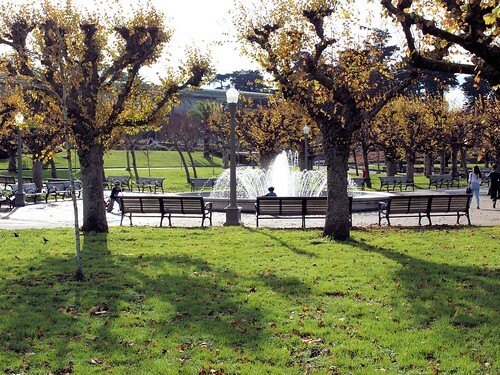 Following the Nazi occupation of France the Joyce family moved back to Zurich in late 1940. Joyce underwent an operation for a perforated ulcer on January 11th 1941 at the Schwesternhause von Roten Kreuz Hospital in Zurich. He died two days later at the age of 59 and is buried in Fluntern cemetery in Zurich. James Joyce was born in the year 1882 On This Day. Virginia Woolf was an author who was a native of England. She was a modernist novelist and is considered to be one of the most influential writers of the 20th century. Woolf is best known as the author of books such as ‘To the Lighthouse’ and ‘A Room of One’s Own’. 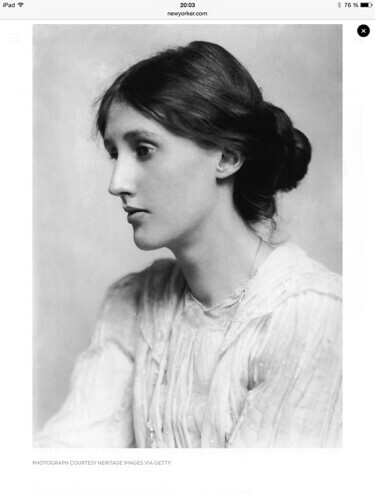 Virginia Woolf was born Adeline Virginia Stephen in Kensington, London in January 1882. She was home taught and began writing as a young girl. Her family lived in London but spent the summer in St Ives, Cornwall. Her novel, ‘To the Lighthouse’ was influenced by her memories of Cornwall. During her career she published a large volume of work including nine novels. Woolf suffered from mental illness during her lifetime. She died by suicide on March 28th 1941 at the age of 59. Virginia Woolf was born in the year 1882 On This Day. A A Milne was an author who was a native of England. He is best known for his children’s stories about the adventures of Winnie-the-Pooh. Winnie-the-Pooh is one of the classics of children’s literature and has been translated into many languages. Alan Alexander Milne was born in London, England in 1882. He was educated at Westminster School in London and at Trinity College Cambridge. He graduated with a BA in mathematics in 1903. During his time at Cambridge he wrote for the student magazine Granta. Following graduation he joined the staff of the magazine Punch. Milne had a successful career as novelist poet and playwright. He regularly visited London Zoo with his son Christopher Robin Milne. Christopher had a teddy bear which he named Winnie-the-Pooh after a Canadian black bear which was a popular attraction at London Zoo. Children were allowed to enter the bear pit and ride on Winnie’s back and feed her. Christopher fed the bear spoonsful of condensed milk. Christopher Milne had a teddy bear called Edward. He changed the name of his teddy bear to Winnie. His father named the principal character in his stories, Winnie-the-Pooh. Winnie-the-Pooh was published in 1926. Milne served with the British Army during World War 1. He was wounded on July 7th 1916 during the Battle of the Somme and spent the remainder of the war working for Military Intelligence. Milne served in the British Home Guard during World War II. He died at the age of 74 on January 31st 1956. A A Milne was born in the year 1882 On This Day.